Home>Sports> Oakland Raiders Want No Part Of HBO's Hard Knocks: "It Would Be Disruptive"
HBO doesn't have too many options to choose from when it comes to which NFL franchise will be featured on their annual "Hard Knocks" series this summer. Per league rules, teams can be chosen if they haven't done the show in the last 10 years, haven't been to the playoffs in the last two years and don't have a new head coach coming into the current season. Given that criteria, there are only five teams that can be forced to participate in the training camp circus in 2019. Those five teams: Detroit Lions, New York Giants, San Francisco 49ers, Washington Redskins and Oakland Raiders. It doesn't appear that any of those five teams are thrilled about potentially being featured on Hard Knocks. 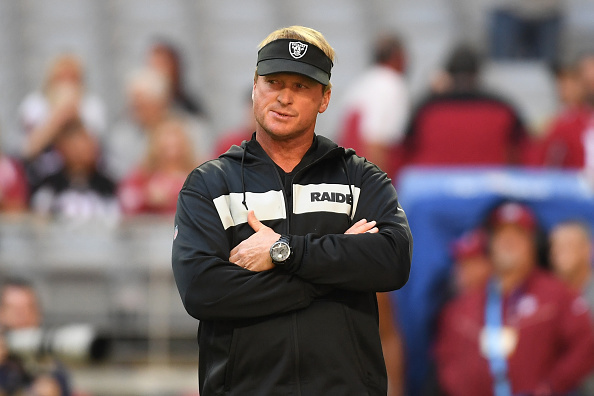 In fact, Raiders owner Mark Davis recently joked that he'd fire Jon Gruden just so the Raiders won't be forced to take part in the training camp reality series. "I'll just fire Jon and then hire him back [after another team is chosen]," Davis said jokingly at the NFL owners meetings, according to ESPN. "It would be disruptive," he added. "We've got a lot of business to take care of, get ready for the season. I appreciate that they might think we'd be great TV, but we got something to accomplish." It's unfortunate, because the Raiders have emerged as the top choice among football fans. From their upcoming relocation to Las Vegas and Gruden's personality to the recent additions of Antonio Brown and Vontaze Burfict, with the possibility of a returning Marshawn Lynch, the Raiders would certainly make for an entertaining season of Hard Knocks. According to ESPN's Paul Gutierrez, some Raiders officials believe a decision on which team will appear on Hard Knocks could be made by the end of the week. SPORTS Oakland Raiders Want No Part Of HBO's Hard Knocks: "It Would Be Disruptive"